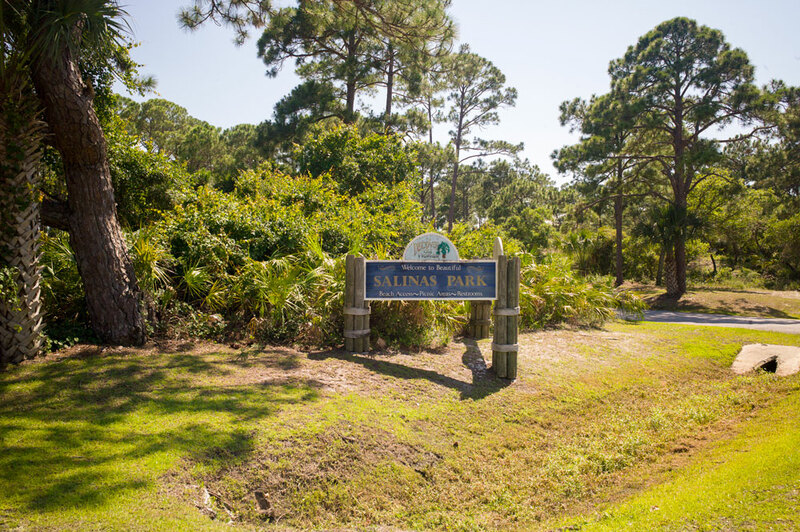 Friday was our first beach day, and the decision was made to try out Salinas Park on Cape San Blas Road. 1. It wasn’t too far from where we were staying in St. Joe. 4. 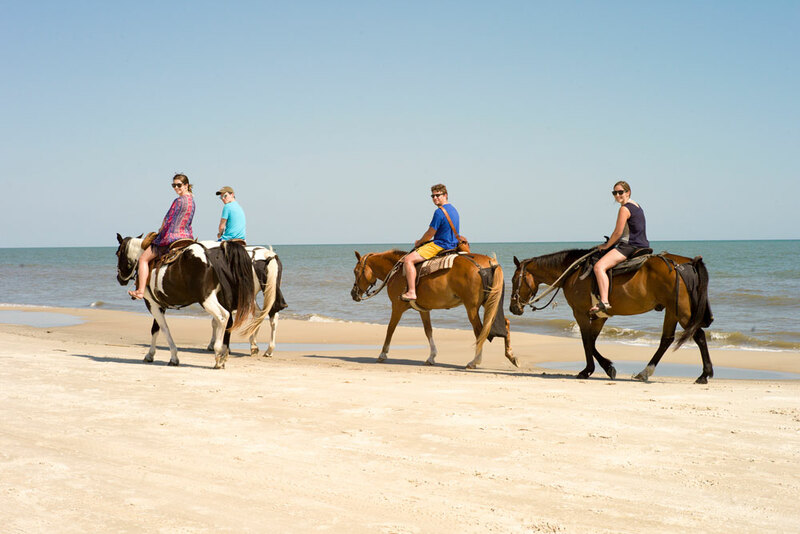 It’s where we were already scheduled to meet for Broke-A-Toe horseback riding on the beach that evening. The county park was established in 1991, and it has bathroom and picnic facilities, but we didn’t come across any showers. That doesn’t mean there aren’t any showers, but if there are, we didn’t find them. 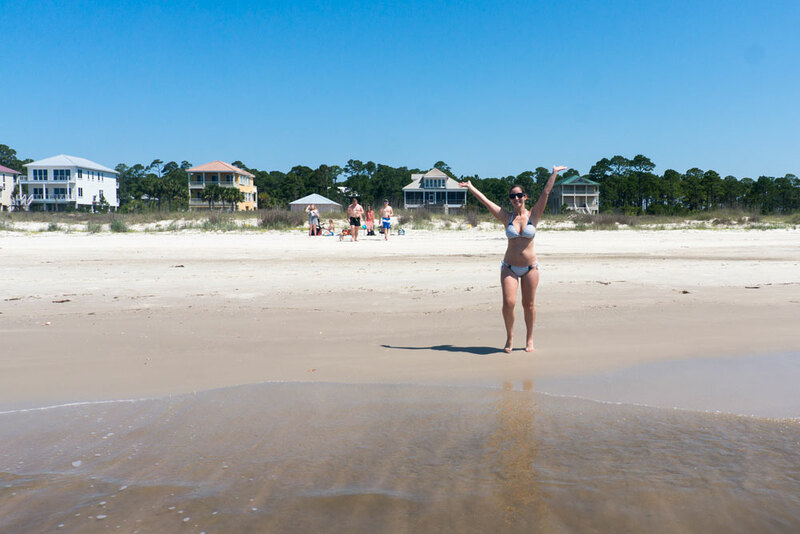 When we arrived Friday morning, we basically had the beach to ourselves. The sand was white-ish, but the water stayed shallow for quite a ways out. We spent most of the day lying on the beach, applying and then re-applying sunscreen, but not much time in the water. 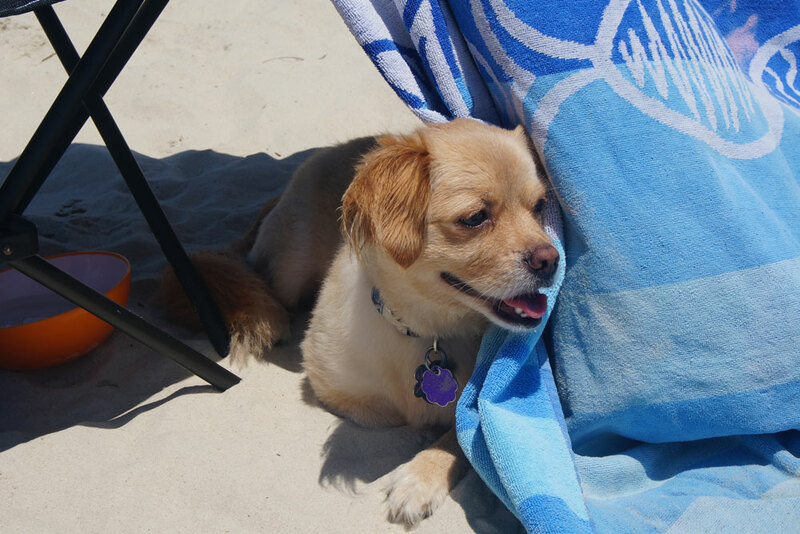 We also discovered the hidden dark side of Florida beaches — the biting flies! They came and went throughout the day, but when they bite, it HURTS! After finishing the sandwiches we’d made for lunch and all of the drinks we packed in the cooler, we decided to call it a day and headed back to the cars. 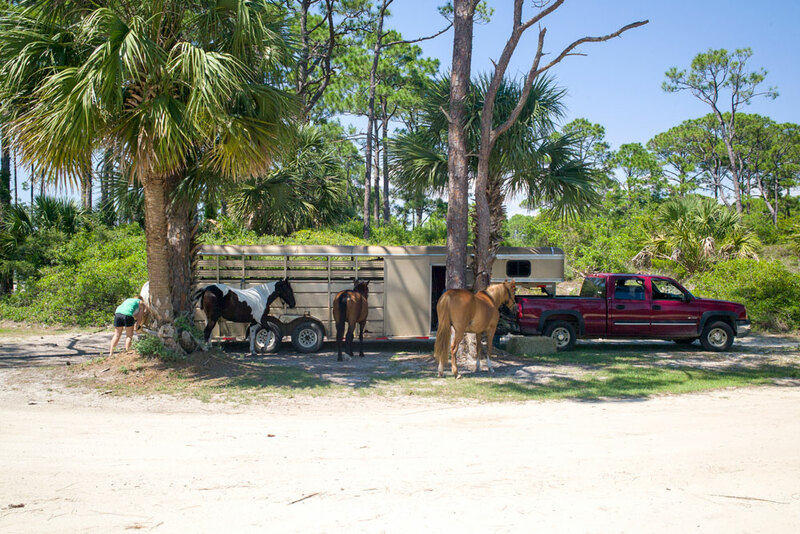 Kelly and the Broke-A-Toe crew had already unloaded the horses for our 4:30 p.m. ride on the beach, so we enjoyed some shade while they finished saddling up. 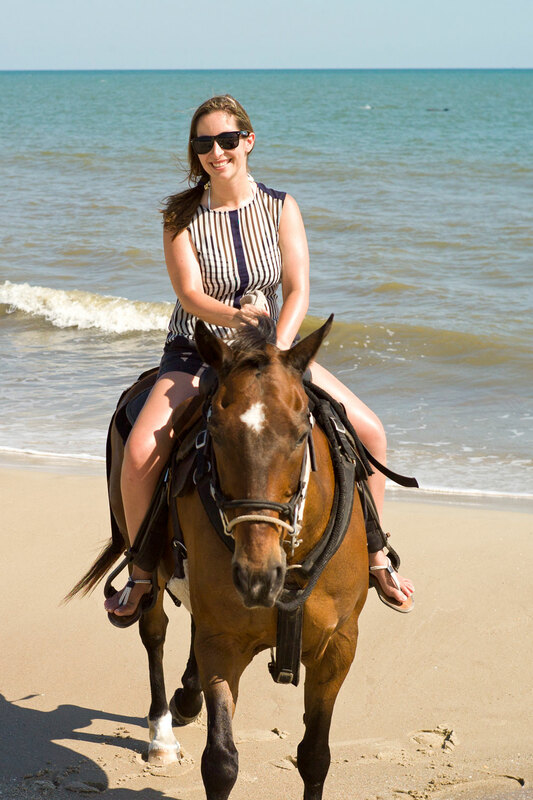 We had wondered whether or not we needed to pack pants and shoes for the riding, but due to county regulations the horses can’t go faster than a walk on the beach, so it’s a nice slow ride, perfect for beginners or people wearing swimsuits and flip-flops. 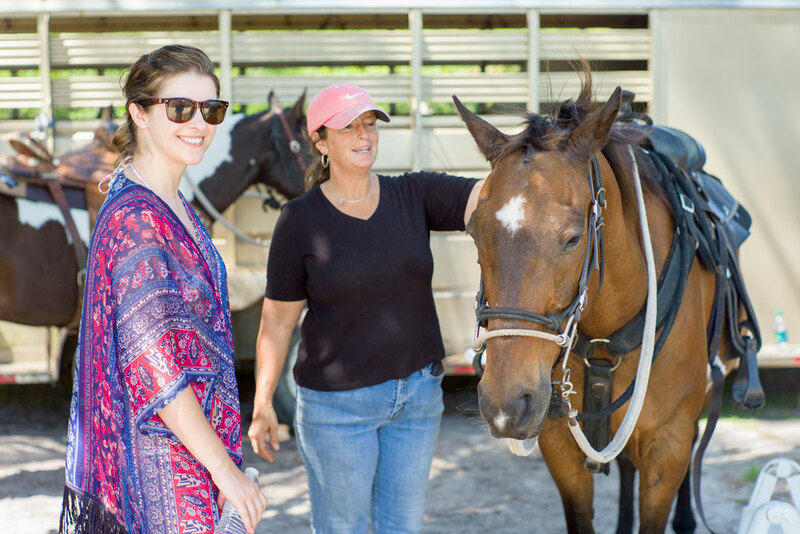 One very special thing about the Broke-A-Toe horses is that several of them are rescued horses and older horses, and all of them were extremely sweet, especially compared to some of the ornery horses I’ve known. 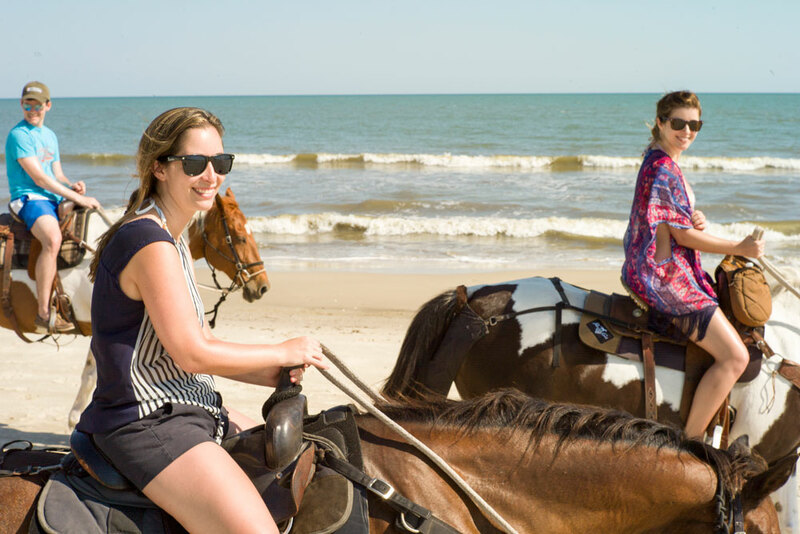 After a quick horse-steering demonstration, we headed back down to the beach to discover a pod of dolphins was frolicking less than 100 yards offshore. It was magical. 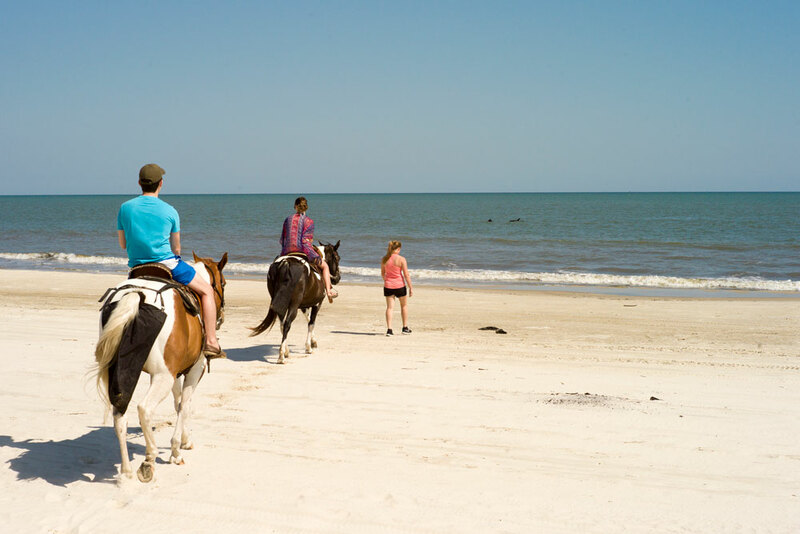 Even the horses were watching the dolphins, and as we rode down the beach, the dolphins swam with us. My only regret was that I had a wide-angle lens on the camera because I had been planning to shoot our horseback riding experience, not offshore marine mammals, so the dolphins just look like specs in the photos. I should have brought a zoom. 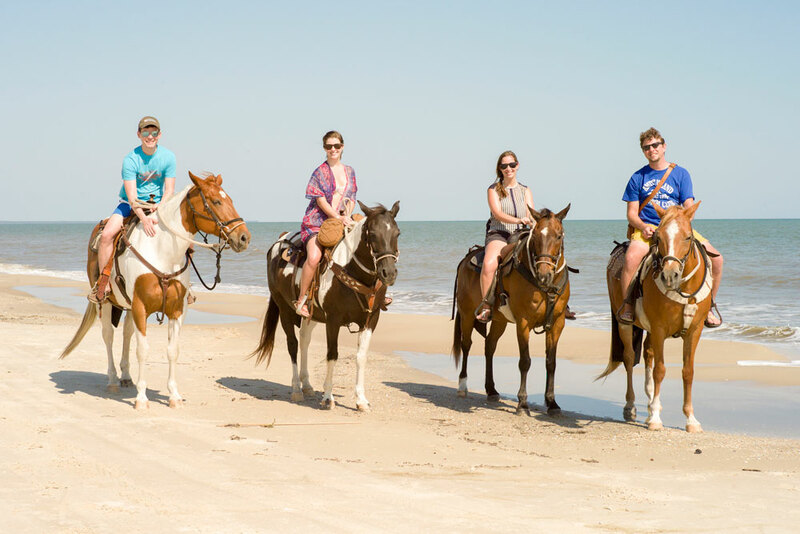 Our ride guides not only made sure no horse poop was left on the beach, but they also proved to be great photographers. The ride back up the beach went a little quicker than the ride down because the horses knew there were hay bags waiting for them at the trailer, but the entire ride was very relaxed and enjoyable. This really made a great post-beach pre-dinner activity, and it added a little something special to our day. Of course, they can’t guarantee dolphin frolicking every ride.